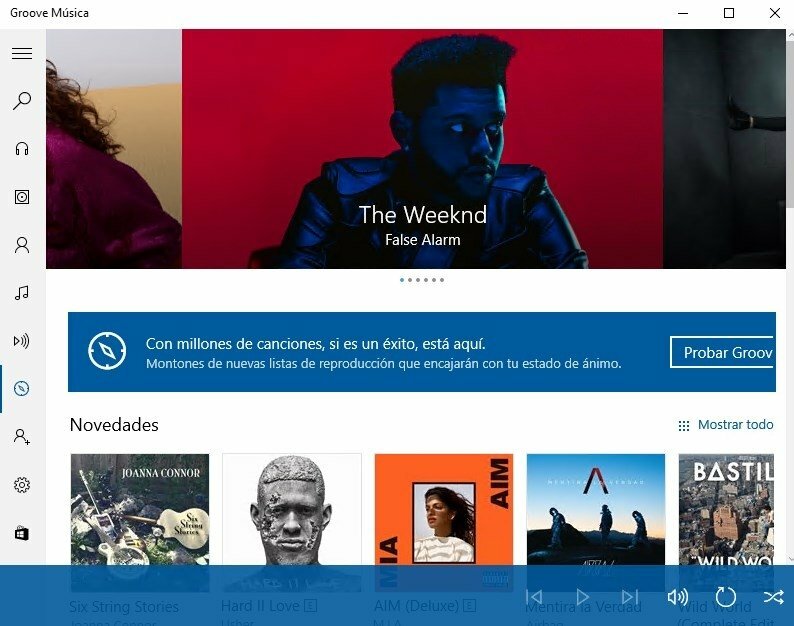 Nowadays we're fully aware of who the leaders of the music streaming industry are. Nobody can put up a fight against Spotify, and that's even with important tech companies like Apple trying their luck with Apple Music. 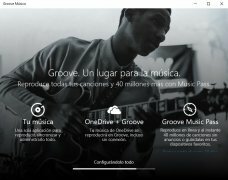 Microsoft always wants to take a shot and that's why they've launched Groove Music, a Windows 10 application from which we can bring together in the same place and play all our music, as well as having access to a catalog with millions of songs online. 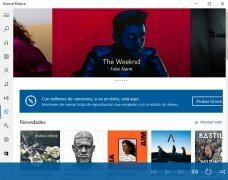 At this point, you're probably asking yourself what can this music streaming service offer you that others can't. Well, compared to its greatest competitor, Microsoft's alternative offers as more songs (40 million compared to 30) and also comes along with an interesting feature such as the possibility to upload 50,000 songs to the cloud to listen to them online. 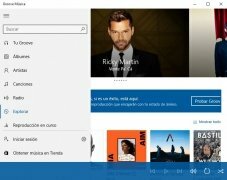 A greate alternative to Spotify's desktop client for Windows. 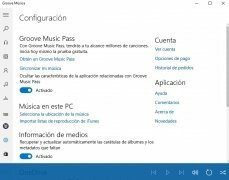 In terms of price, both solutions are almost identical, but Groove offers us 1 month for free and after that, we have to sign up for a paid subscription. We don't have the chance to make use of a free advert-based version, outside those first 30 days. It's artist-based radio stations are also a differential element. Play all your music, whether locally or uploaded to the cloud. 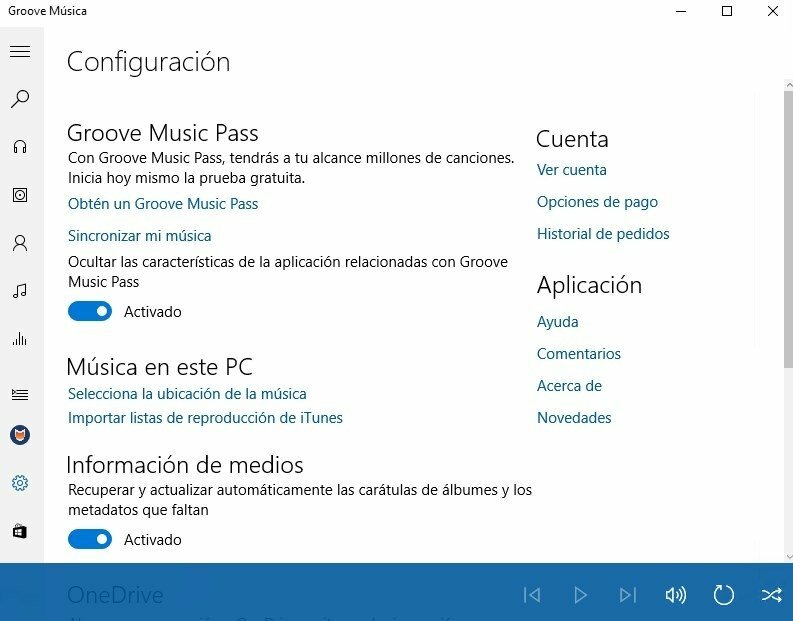 Use OneDrive to host thousands of songs on the cloud. Discover Groove Music Pass to access 40 million songs via streaming. 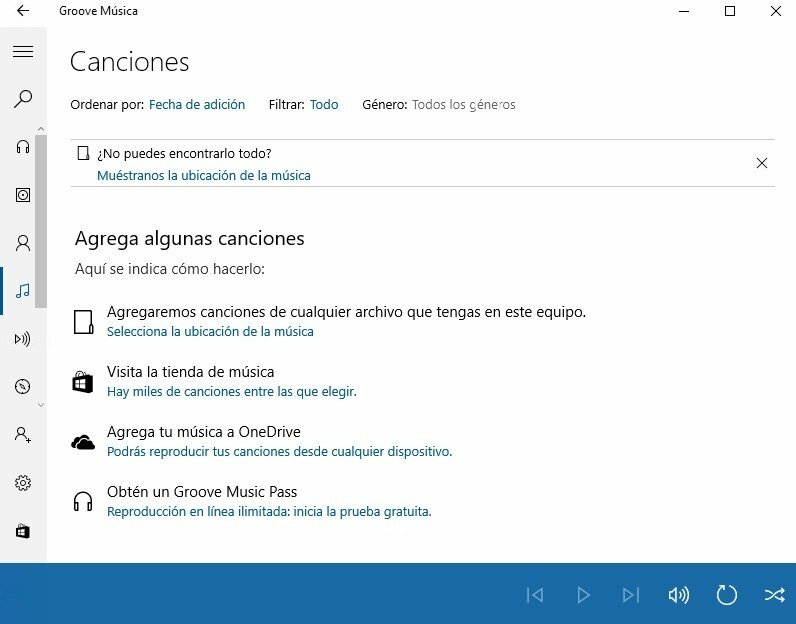 Create and manage your playlists. 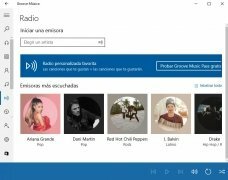 Radio stations based on your favorite artists. 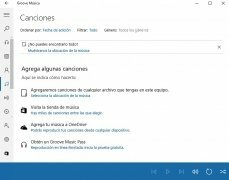 Synchronize your music on all your devices.